Great prices and great gear!!! The price on these Zippo flints was too much to pass up. They work great and I'm glad with my purchase! I will be ordering more in the future. I have bought a bunch of these now that Bud K lowered their ridiculously high price on them and brought the price down to a fair and normal price. I have them in my day pack, back pack, BOB, dresser drawer, and use the flints for all my Zippo lighters which I collect. They work well in Bud K's lighters also. Extra flint is good to have around. All my lighters have several under the cotton for spares and that's the reason I have bought so many of these 6 packs and they come in such a handy retainer/dispenser. They are kind of hard to come by so I snatched them up while I could. Happy trails. I recently bought two of these flints for my for Zippo lighters they work great but only for a short amount of time, I need to replace my flints very often for the amount of time I use my lighter. Excellent price for must have item in your bug out equipment! Purchased two; both contained six flints as advertised, and there's not a better deal price-wise anywhere that I've looked. Came in retail packaging with thorough instructions on changing flints. Good product; you get exactly what you buy. Gotta have'em. Can't beat this price. BudK thinks about everything the outdoorsman needs. These are not as easy to find as they used to be and it sure beats rubbing two sticks together. 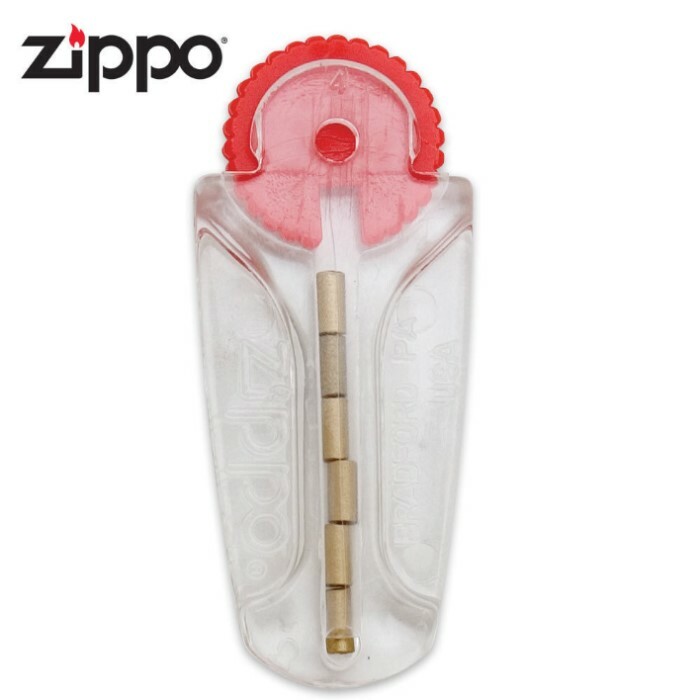 these are good flints for the zippo lighters, and the price is ok. the only reason it didnt get 5 stars, i pick up disposable lighters(bic)that people have thrown away, and the flints in them are longer, and last longer also.and they are free, something to think about when you are walking along and see one laying on the ground.you can never have too many flints, or lighters with you.